Established in 2003 in the South of France, Cîroc Ultra-Premium Vodka is one of the only vodkas in the world made from fine French grapes, instead of using the typical grain. Its distillation process is inspired by over a century of wine-making expertise and craftsmanship which sets Cîroc apart from other vodkas and makes it a luscious, elegantly smooth and sophisticated luxury vodka. The brand's tall slender bottles are embossed with a cockerel perched on a cluster of grapes to symbolise the Gaillac region, and its grape growing heritage. 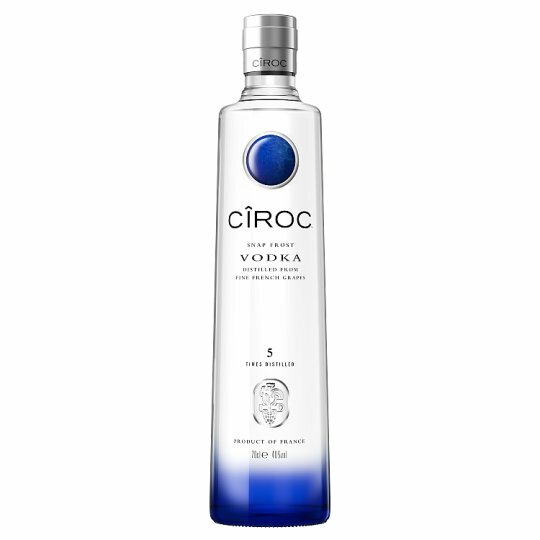 The fresh, citrus taste and silky mouthfeel of Cîroc Ultra-Premium Vodka make of it a fantastic base for delicious drinks. Product of France. Distilled in France, Bottled in the U.K.